Energy Minister Mustapha Guitouni recently announced that he would relaunch the Algerian Renewable Energy Development and Energy Efficiency Programme (Penree). The aim is to produce 22,000 MW from clean energy sources by 2030. In Algeria, natural gas is the number one national asset. The country is the 10th-largest producer in the world with world-famous gas sites like that of In Amenas, on the Libyan border. Local consumption is such that the country’s electricity production depends almost exclusively on this hydrocarbon. Since 2012, the authorities have been considering moving into much cleaner energy sources for electricity production and they are hurrying… slowly. After all, the access rate to electricity in Algeria is almost 100%. However, Energy Minister Mustapha Guitouni, who was on a trip to Tissemsilt (wilaya in central Algeria) at the beginning of February 2019, suggested that he would accelerate things by relaunching the Algerian Renewable Energy Development and Energy Efficiency Programme (Penree). Algeria seems to be inspired by another Maghreb country, Egypt, which in recent months has seen a sudden increase in its electricity production projects using renewable energies, both in solar and wind power. It owes this result to the ambitious Benban programme. In Algeria, Penree should focus more on solar energy. According to Mustapha Guitouni, the electricity regulation commission in Algeria has drawn up specifications, which should make it possible to attract 70 investors exclusively in solar energy. Solar projects are expected to be implemented in the Algerian Highlands (north) by 2030. They should produce 22,000 MW. According to Reuters (news agency), which quotes a source from the Ministry of Energy, Algeria is preparing to launch calls for tenders for the construction of 150 MW solar power plants from 2019 and beyond. The objective is to produce 2,000 MW by 2020. 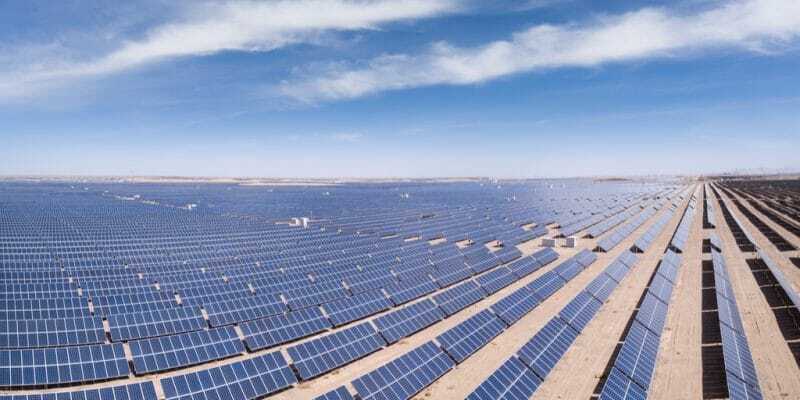 The same source, whose name is not revealed, even reported that Sonatrach, the powerful national oil company, has already signed an agreement with the Italian company Ente Nazionale Idrocarburi (ENI) to build a solar power plant. The two companies are already linked by an agreement signed in November 2018, concerning scientific cooperation for the construction of an intelligent solar laboratory in Bir Rebaâ Nord, more than 4,200 km from Algiers, the country’s capital. Also in the same region, in November 2018, the two companies commissioned a solar power plant with a capacity of 10 MW per year. The energy produced is destined for the Bir Rebaâ Nord oil field. For Mustapha Guitouni, Penree should make it possible to save gas. “We will gain 20 billion m3 of gas, knowing that Algeria is currently exploiting 50 billion m3 of this energy for electricity production,” he explains. This programme will logically impact Algeria’s energy mix, which is currently 98% dominated by gas.